The late Hollywood film actor Cary Grant was actually born as Archibald Alexander Leach in 1904. He was best known for his dashing good looks and his transatlantic accent. As one of classic Hollywood's leading men, he had many roles over his 34 year acting career. It is worth noting that since his career spanned from 1932 to 1966, many of these names are rather traditional to the era but they are fun to browse nonetheless! First and last names will be listed but occasionally they could make for nice first and middle name combos! Which of the following character names is your favorite? [Note] This is not a complete list. Since it was so long, I took the liberty to omit character names that did not have a last name, and a few that just weren't very interesting (i.e. I just didn't like them.) 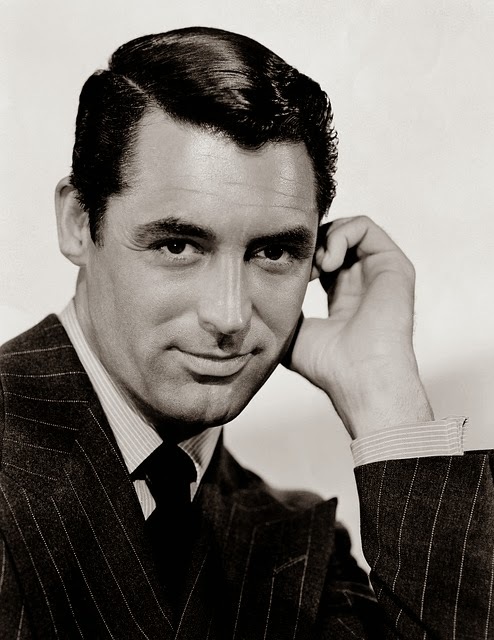 View Cary Grant's official IMDB page if you'd like to see his entire filmography. This is about the baby names! My favorites are Malcolm, Dexter, Leopold, Mortimer and Barnaby. What do you think of this list? Shall I do more for other celebrities? If so, who?